NetEnt provider has just launched another great slot – Wild Wild West: The Great Train Heist. The theme of the slot is a bit similar to old time favourite Dead or Alive but we can find here more extended free spins features. This slot has 5 reels and 3 rows, it can be played with 10 lines. Two main features are pick and click bonus game round and free spins. If you will hit 3 bonus symbols you will be granted with bonus game round. During the bonus game round, you need to click on one of the bonus symbols and you will be then rewarded with coin win. Bonus symbols can only appear in the main game round (not available during the free spins rounds). Symbols can only appear on reels 1, 3 and 5. Winnings from the bonus round start at x5 your bet and go up to x50 your bet! In Wild Wild West slot you can hit the free spins round if you will get 3 or more scatters. For 3 you will get 10 freespins, for 4 you can start playing your 20 free spins and with 4 scatters you can start celebrating with 30 free spins. Before the free spin game round will begin you will have to raffle the feature of the game. 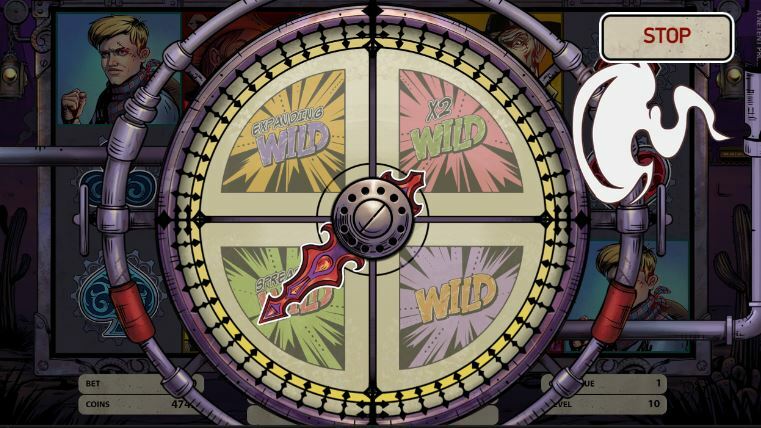 There are four available features during the free spins – expanding wilds, spreading wilds, multiplier wilds and standard wilds. The one that you will hit on the wheel will appear in your free spins. Expanding wilds will cover the whole reel whenever it is appearing. Multiplier wild will multiply your winnings on the pay line where the wild is appearing. Spreading wild will give you extra wild in the next reel or row. Standard wild works exactly the same like during the main game round – it will substitute for all symbols except the bonus and scatters. 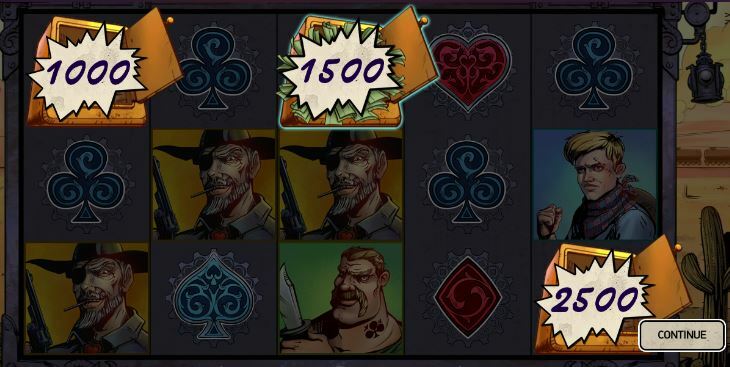 Free spins in Wild Wild West can be re-triggered if you will hit another 3 or more scatters. You can play this brand new slot in all our casinos – we highly recommend you LuckyDino where you can get 20 free spins without registration! Create your free account using the link below.